Høglund, the marine solutions and system integration company, has been awarded a contract to deliver biogas-ready fuel-gas supply systems (FGSS) for six Hurtigruten passenger ship retrofits. Høglund will work together with HB Hunte Engineering to design and engineer fully customized tank and FGSS solutions for each of the six vessels, optimized to run on both liquefied natural gas (LNG) and liquefied biogas (LBG), according to a press release. 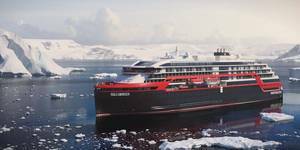 Hurtigruten will use Høglund and HB Hunte's FGSS solutions in tandem with large battery packs onboard its vessels, replacing its older engines which run on marine gas oil, it said. Hurtigruten, a player in the Arctic and Antarctic expedition cruise segment, will use Høglund and HB Hunte's bespoke FGSS solutions in tandem with large battery packs onboard its vessels, replacing its older engines which run on marine gas oil. Høglund Gas Solutions, operating out of Hamburg, will provide a completely customised and integrated FGSS solution including process design and related automation. HB Hunte will provide mechanical gas engineering and gas tank design. The unique offering will also include overall project management and 24/7 after-care support from Høglund's dedicated team of experts. The project will mark the first time a large passenger vessel has been converted to run on LBG - a fossil-free, renewable gas produced from organic waste, such as food waste - including, notably - rotting fish.